When it comes to dog food, you usually get what you pay for. It’s like automotive parts- cheaper isn’t always better. That being said, you can still shop wisely, save money, and offer your dog a fantastic yet cheap dog food at the same time! How is this possible, you ask? Certain ingredients are essential in any great diet. By learning to spot these ingredients, you’ll be able to seperate high grade inexpensive foods from the numerous bags of filler out there! Though you do often get what you pay for, knowing what to avoid and what’s essential can help you save loads of cash on dog food! Many cheaper, low quality brands like to fill their pet foods with cheaply grown plant products, like corn and grain, to maximize profits while producing the most inexpensive foods possible. On top of this, they often skimp on the truly important things dogs need the most to thrive, like animal protein. Learn to avoid low quality ingredients, while including the things your pet needs the most. Meat Meals: Animal contents dried & rendered (cooked at high temperatures); leftover solids are added as ‘meal’ to pet food. Random ‘meat meals’, or ‘meat and bone meals’ should be avoided if possible, as they have no specific source and can come from anywhere. Rendered bone is also considered sometimes difficult to digest. Specific meals, like ‘Beef meal’ or ‘Chicken meal’ are considered quality protein concentrates, with a much higher percentage of protein than normal chicken of beef. When it comes to dog food, you usually get what you pay for. Some of the cheapest brands out there are also some of the worst, since they are also very cheaply manufactured. Below, you’ll see one of the absolute cheapest dog foods on the market, both known and used by millions of pet owners worldwide. In fact, very few Americans haven’t heard of this brand, whether they own a pet or not! Can you guess what it is? This food is given the lowest ranking, 1 star, by Dog Food Advisor. Ingredients: Ground whole grain corn, meat and bone meal, corn gluten meal, animal fat, soybean meal, natural flavor, chicken by-product meal, dried plain beet pulp, ground whole grain wheat, salt. The very first ingredient here, and present in the largest quantities, is ground whole grain corn; an extremely cheap plant product and not what you want to use at all. It’s important that any dog food use an animal product as the first ingredient, if not two out of the first three. Then you have a generic meat and bone meal, which could have come from any animal. On top of this, bone is considered difficult to digest, and only present because the manufacturer was too cheap to have it removed from the animals they used. In fact, we don’t have a source of animal meat anywhere among the top ten ingredients! Just cheap product after cheap product. Follow the link above to find out what food this is! 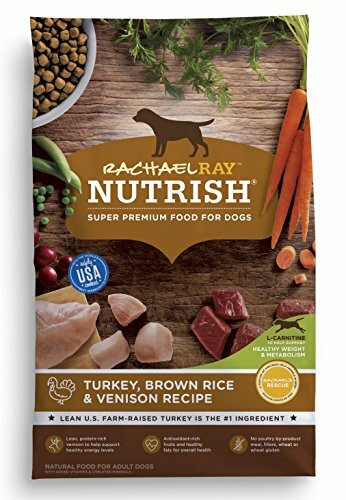 The world renown chef, Rachel Ray, offers a surprisingly nutritional yet affordable line of dog foods! Her ‘Turkey & Potato’ recipe listed here is my personal favorite. Not only is the primary ingredient, turkey, a source of animal protein, but she follows this up with two more sources of animal meat. In this case, turkey & chicken meal are both considered protein concentrates with up to 300% more protein than regular turkey or chicken. Very few inexpensive dog foods provide 3 sources of animal meat as the top three ingredients. It’s hard to find a low cost 5 star dog food, but Rachael Ray chertaily covers the bar with this brand! Out of the four listed here, Rachel Ray Nutrish Zero Grain is our top rated pick. All three of the top ingredients are sources of animal meat. Several different ingredients are included to offer a wide range of nutrients. The plant products added here, though they offer protein, aren’t entirely necessary. 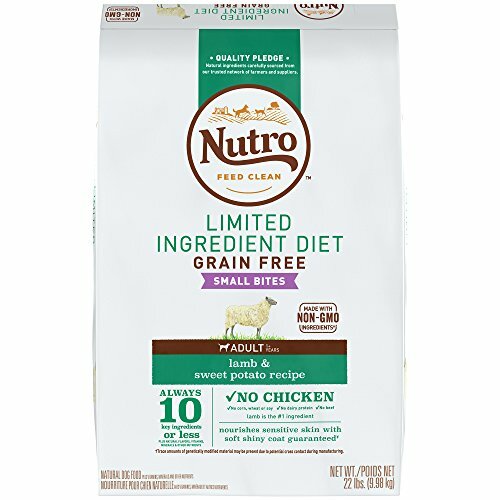 Nutro is another great brand here, offering the first, second and sixth ingredients as sources of animal protein. A source of meat that is ‘deboned’, like the lamb here, is considered easier to digest than one that isn’t. The first two ingredients are sources of animal meat. The lamb here is deboned for easier digestion. Some of the vegetable products added here aren’t entirely necessary. There are no sources of egg or fish oils among the top 10 ingredients. 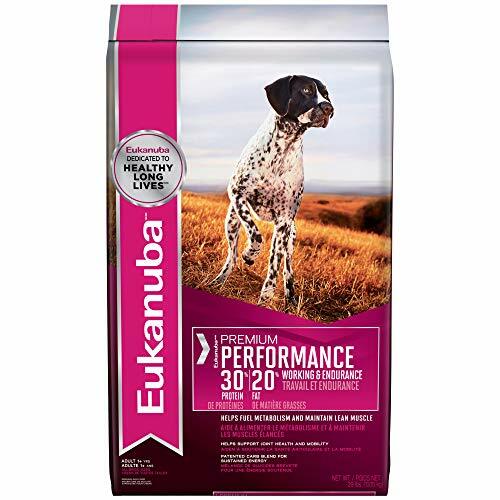 This brand, offered by Eukanuba, is another cheaper quality dog food for anyone wanting to save money and still offer good nutrition. As you can see below, the very first ingredient is chicken, a great source of animal meat. Many cheaper dog foods will use a plant product as the very first ingredient, severely lowering the quality of protein your dog is able to get from his diet. Top 10 Ingredients: Chicken, chicken by-product meal, corn meal, brewers rice, ground whole grain sorghum, chicken fat, dried beet pulp, fish meal, dried egg product, fish oil. The first ingredient here is chicken, a high quality source of animal protein. The ninth and tenth ingredients are egg product and fish oil, promoting healthy skin and coats. There are several cheap filler ingredients in this dog food. 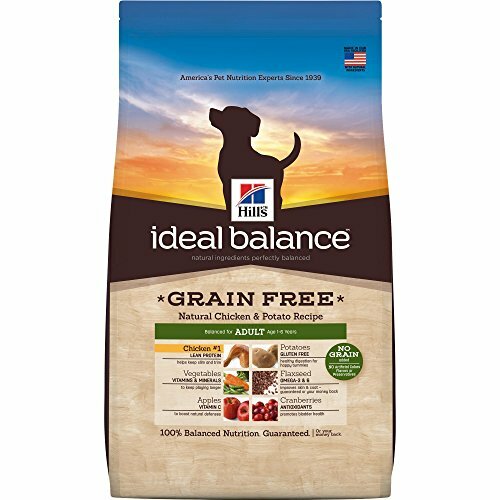 Yet another popular product for your dogs, Hill’s Ideal Balance offers a grain free, complete source of nutrition for your lovable pet! On top of that, this is a great choice for dogs with a gluten or grain allergy. This product focuses on helping maintain a healthy weight for your dog, as well as lasting energy levels for longer play! Top 10 Ingredients: Chicken, potatoes, yellow peas, pea protein, potato starch, chicken fat, chicken meal, dried beet pulp, chicken liver flavor, lactic acid. This food contains chicken meal, a protein concentrate with up to 300% more protein than normal chicken. There is only one source of animal meat among the top 5 ingredients. 1. What is a good quality affordable dog food? The most important thing when it comes to commercial dog food, among many important factors, is to make sure you are feeding the right kinds of animal proteins. Cheaper brands will all too often use things like corn as their primary ingredients; these are not good dog foods. If you see corn or wheat, or any vegetable whatsoever, as the very first ingredient, the food has been cheaply made. You want the first, if not the first and second, ingredients to be some type of animal product. Try to avoid by-products and generic ‘meat and bone meals’. For those who wish to feed their dog a vegetarian diet, there are commercial vegetarian dog foods. That being said, dogs were not biologically meant to survive off of a purely plant based diet; it’s best to consult your veterinarian regarding this veggie diet. 2. Are there some tricks I can use to save on dog food? Unless you are buying something incredibly cheap and low quality, which is never really advised, dry dog food is usually cheaper than cans of wet dog food. Larger bags of dog food are often sold at a lower price than multiple smaller bags/containers of that same brand. 3. What is a good quality inexpensive puppy food? Keep in mind, puppies younger than 4-6 weeks should feed from their mothers and shouldn’t be seperated. Puppies between ages 4-6 and 8-10 weeks ideally should eat a diet of wet (not dry) dog food. At that point, the gradual transition to dry puppy food can begin. These rules will affect the price of the foods you offer at this stage, as wet dog foods tend to be priced slightly higher than dry. Because they are smaller and require less calories to maintain their body weight, puppies will usually eat less than an adult dog 3 times their size. For this reason, you can often get away with smaller containers, obviously much more reasonably priced. For example, a 5 lb. bag of Taste of the Wild High Prairie puppy food will run you around $15. Again, when it comes to dog food, you get what you pay for. That being said, by following the tricks above, you can still offer great nutrition at a low price!